My wife and I recently joined up with my parents for a weekend stay in Baltimore. 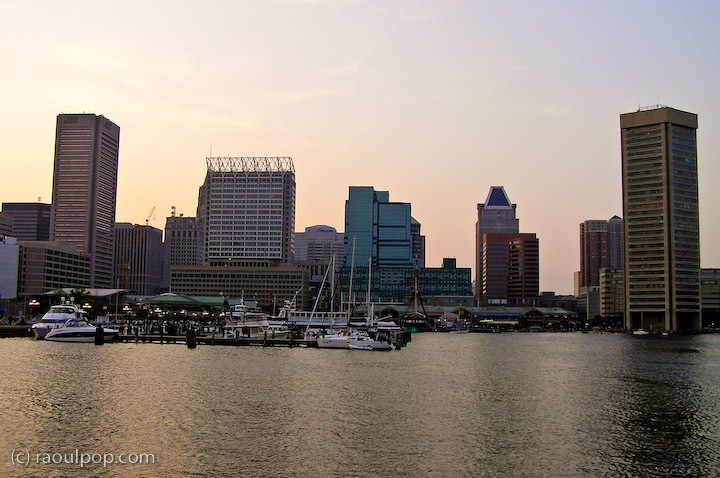 I took a lot of photos of the beautiful inner harbor. Here are 56 of them. Yes, that’s fifty-six. I think that’s the most photos I’ve ever posted in a single post. I’ll single out several of them below, but most will be posted as thumbnails, so click through to see them at full size. This was another one of those situations where a versatile zoom lens was much better than a prime lens. There was no other way to compose photos but to zoom into the foreground. I obviously can’t walk on water, so a prime lens, with its fixed focal length, was no good to me. 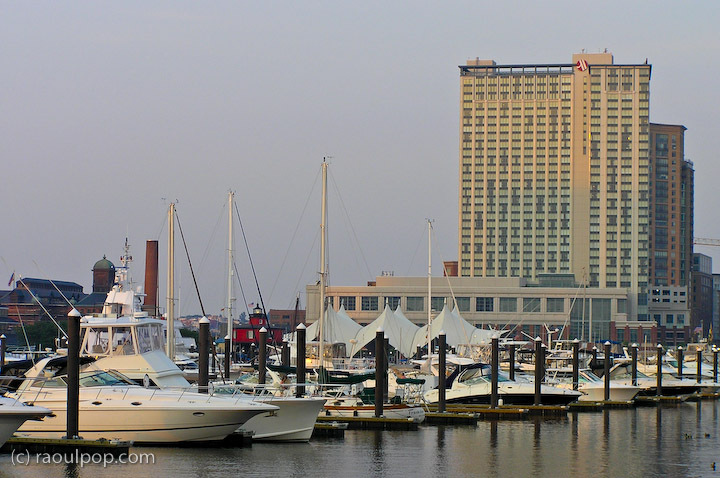 To the right, you have the Baltimore World Trade Center tower, and to the left you have one of the marinas. The downtown skyline is clearly visible in the background. 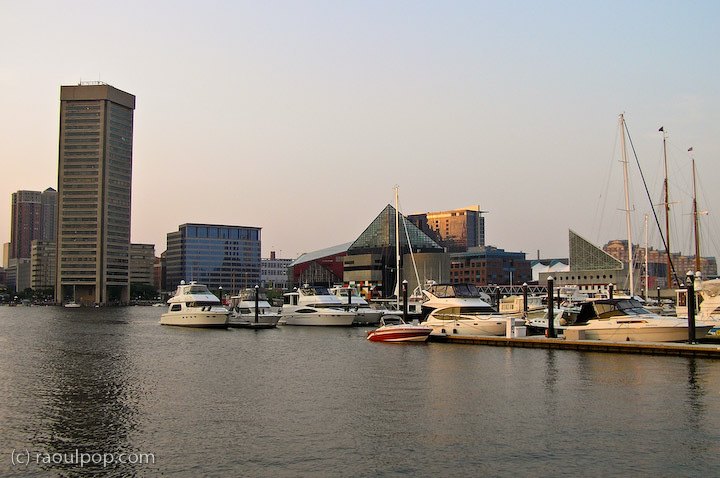 That’s the Baltimore Aquarium in the center, and another of the marinas in the foreground. The Power Plant building is behind the Aquarium from this location. That big, tall building is the Marriott Waterfront Hotel. That’s where we stayed. It’s a beautiful hotel, but it’s hard to get to it if you’re not familiar with the area. There are no street-level signs to direct you to it, so you’ll drive right by it and past the harbor if you’re heading toward it on Fleet Street. Unless you stick your head out the window and look up to see a little logo on top of the building, you won’t even know it’s there. Strange, you wouldn’t think you’d miss such a tall building, but we missed it and literally drove right by it the first time. 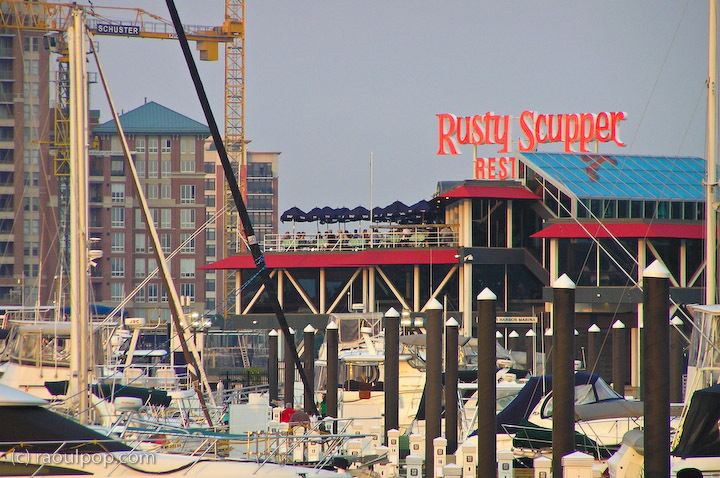 If you look even further to the right from the same spot, you see the Rusty Scupper restaurant. 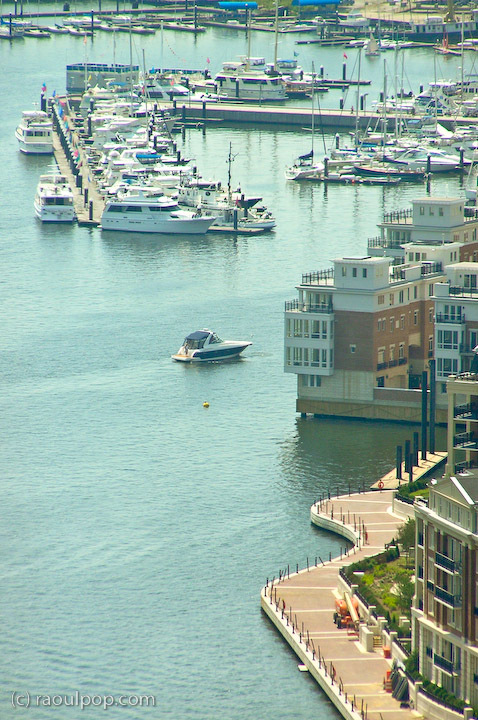 Further down the quay, you’ll find newly constructed housing that’s literally built right on the water. 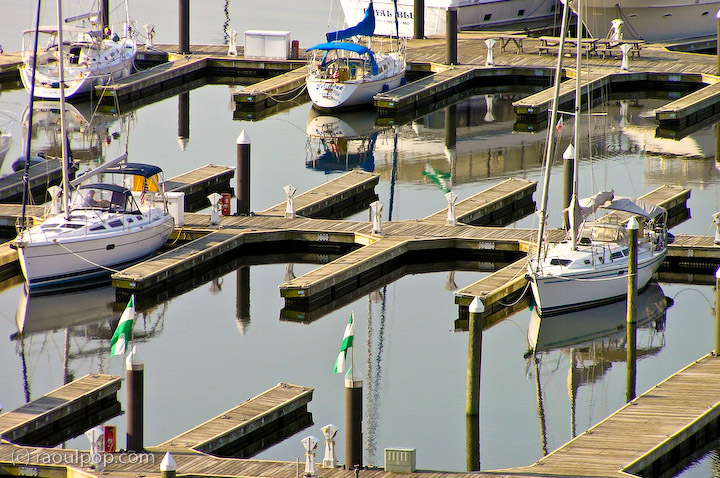 Each unit has its own boat dock. 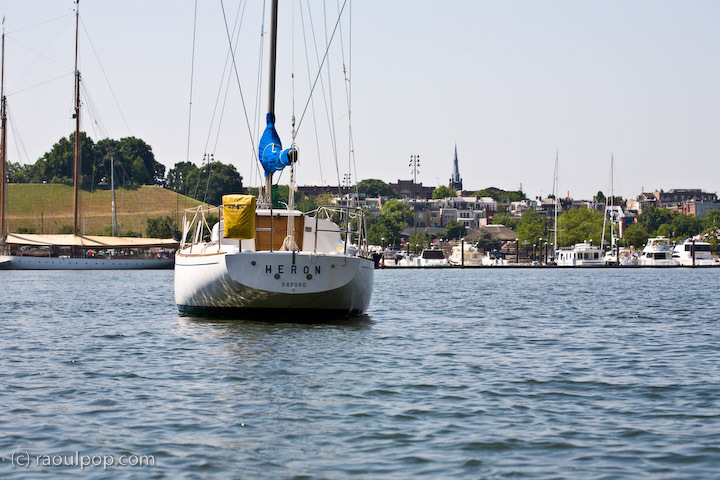 We spent most of our time on the other side of the harbor, so let’s head over there, shall we? 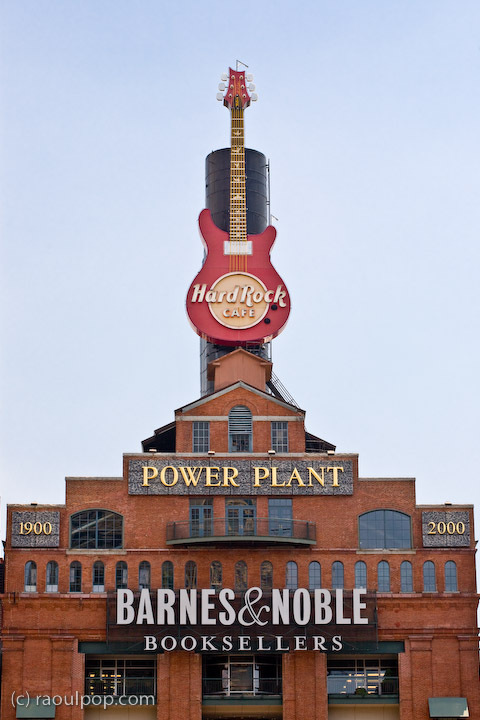 By far the most noticeable landmark in the Inner Harbor is the Power Plant building, which houses the Hard Rock Cafe, ESPN Zone, Barnes & Noble Booksellers and a few more locales. 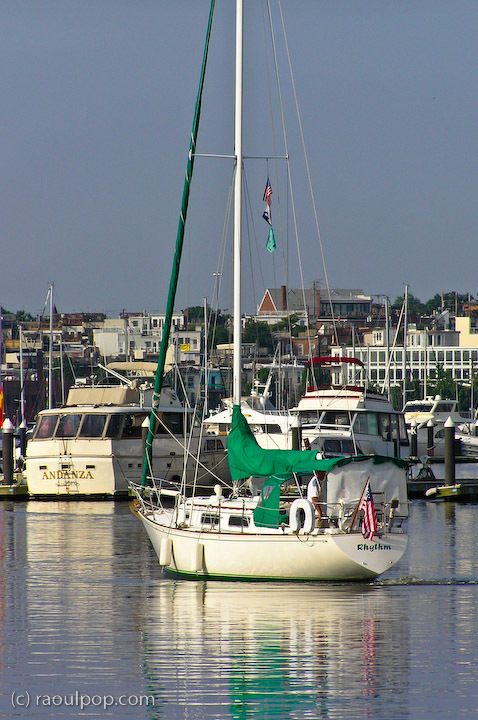 Many boats were anchored and available for tours in the harbor. 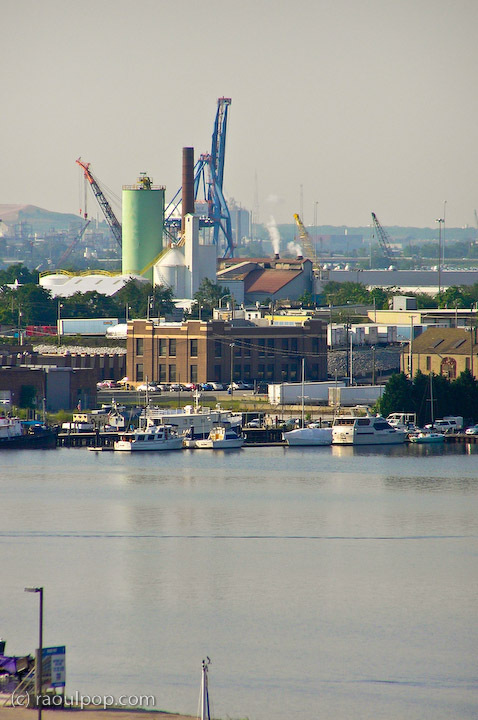 In the photo above, you see the Chesapeake and the Torsk submarine. 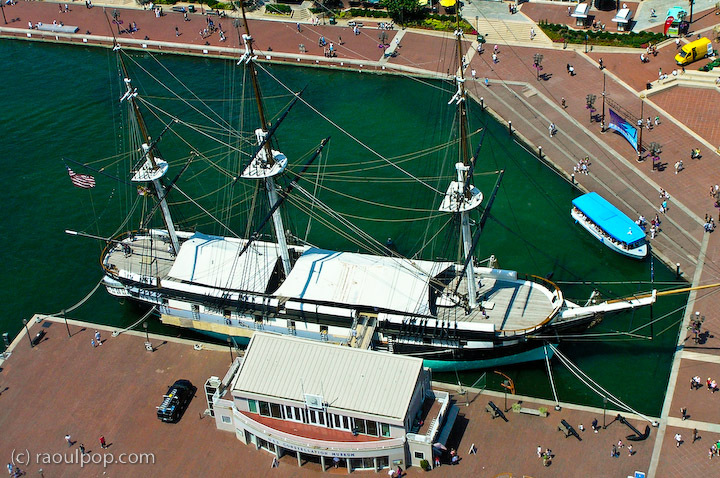 In the photos below, you’ll see the Constellation and Taney, the last surviving boat from Pearl Harbor. 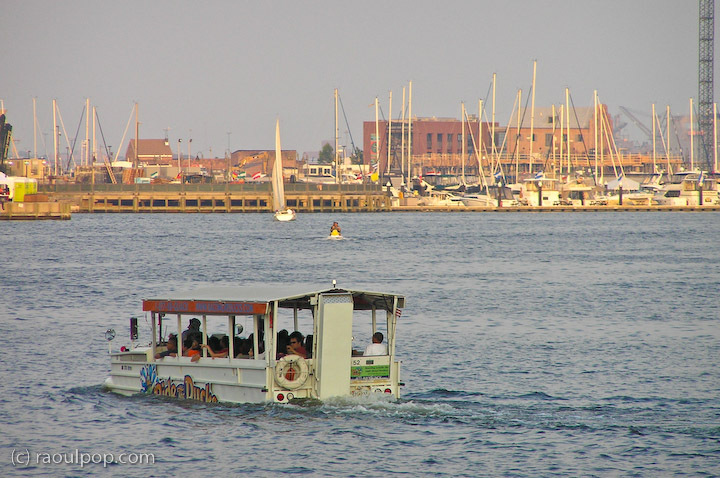 Paddle boats and electrical boats (little fiberglass dinghys) were available for rental, so we got one and puttered around the inner harbor (in the vicinity of the WTC). 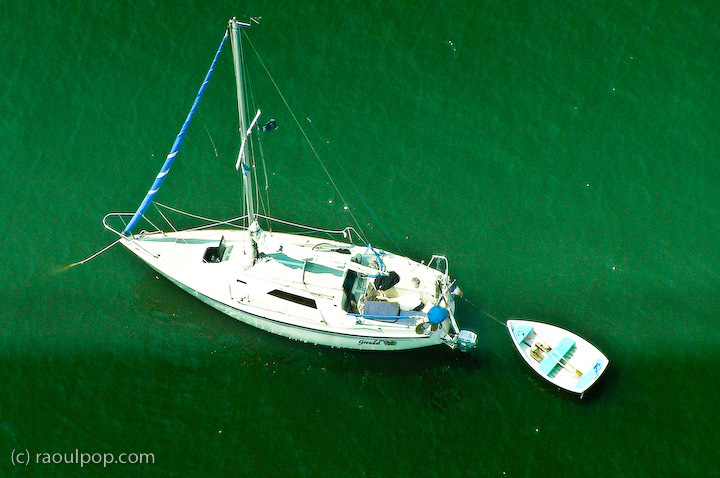 We went around this small yacht a few times. 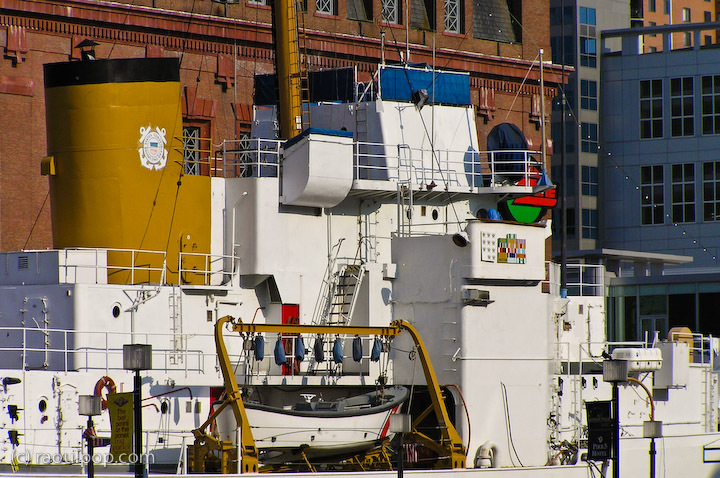 It was anchored right in the middle of the inner harbor. I think the folks inside it were still asleep, although it was mid-morning. 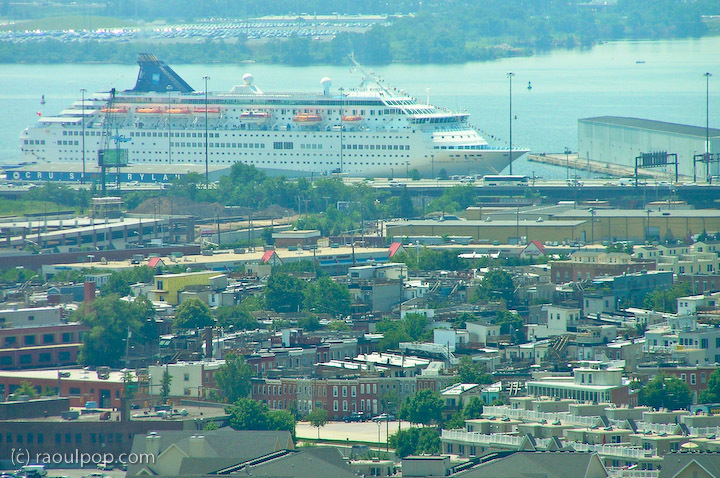 That photo was taken from the top of the Baltimore World Trade Center Building. They say it’s the tallest five-sided building in the world. I didn’t think it was all that impressive. Perhaps I’m just sour because the top floor wasn’t open to the public, so I had to take photographs through their thick, unwashed and tinted windows. Not exactly exciting, and if you see a strange tint in some of the photos, that’s why. I’m sorry about it. 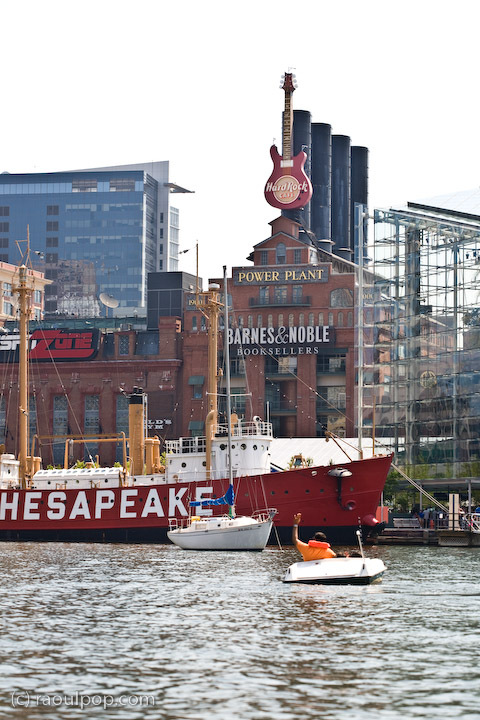 The beautiful thing about the Inner Harbor is that’s it’s so easy to get around. 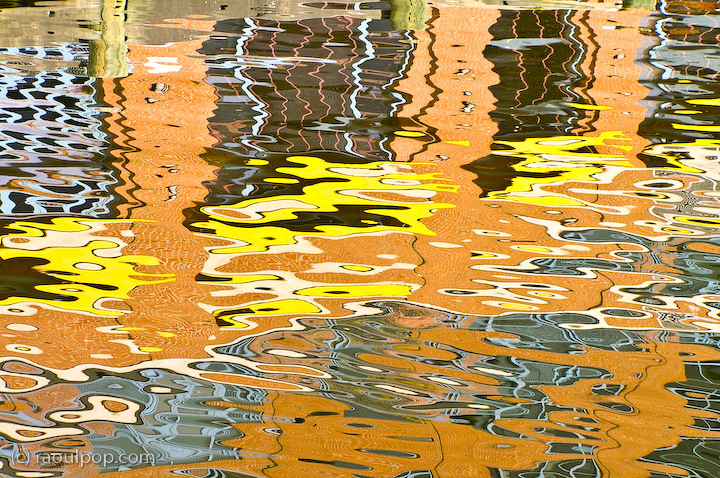 You can walk along the quay, or you can hop into a water taxi. An all-day ticket costs $9, which is a good deal. One of the funnier things I saw (and a great idea, too!) were the Baltimore Ducks. They were buses you could take to get tours of downtown and the harbor. They would simply drive right into the water. 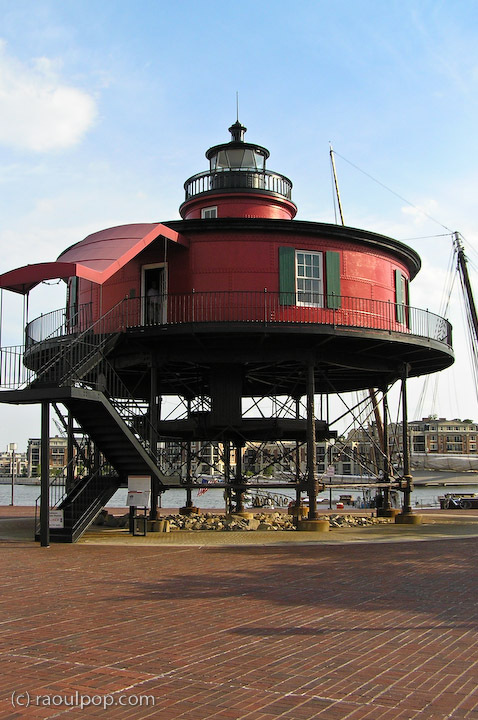 We’ve just got to use them the next time we visit Baltimore. 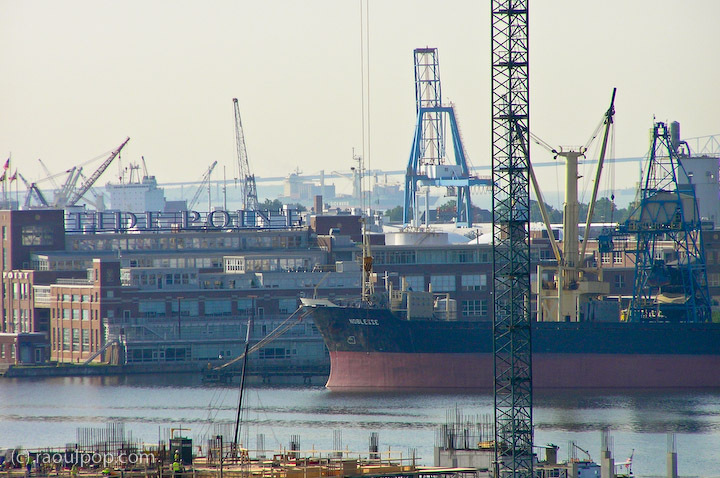 From the top of the WTC, you can see the working side of the Baltimore port as well. 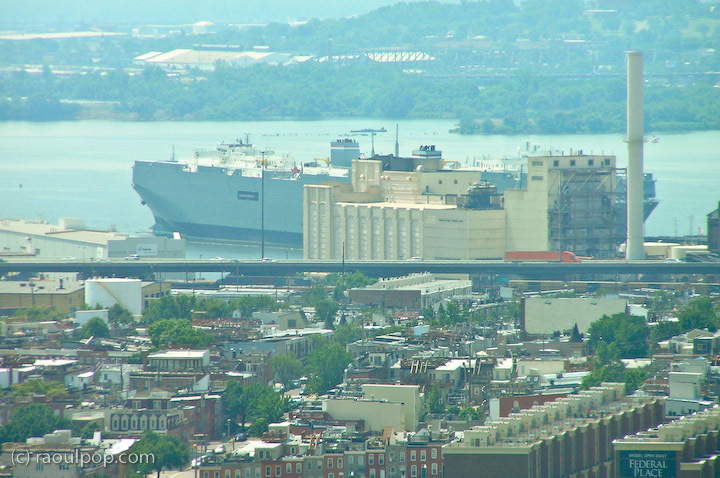 There was a large cruise ship anchored far off, and a few freighters were either getting loaded or unloaded as well. 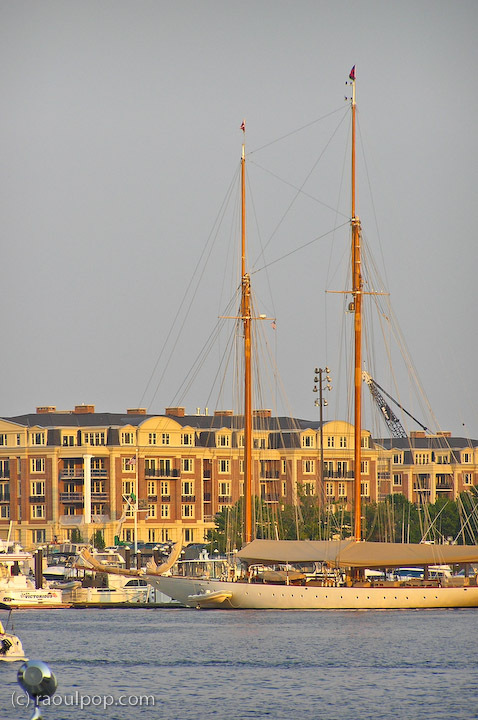 Our hotel had great views of the larger harbor. 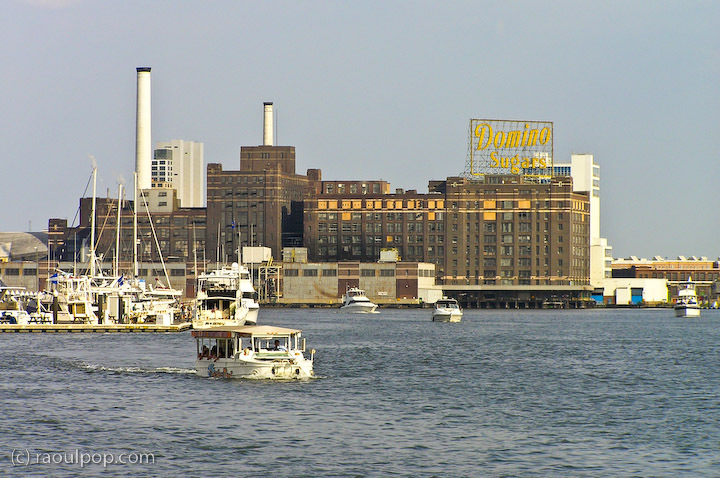 We could see the Domino Sugars factory, the Seven Foot Knoll Lighthouse, and the outlying, more quiet, marina across from Domino Sugars. 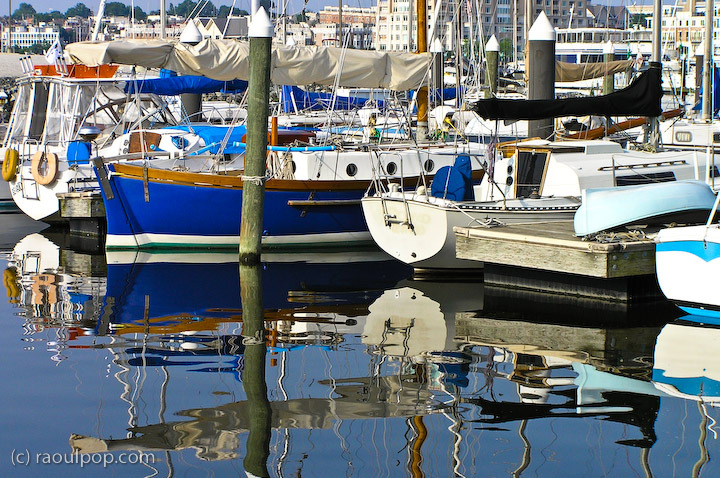 All of these photos and more are available for viewing (and licensing, if interested) in the Baltimore gallery of my photo catalog. c kane, I’m glad to hear that. I’ll send you an email shortly, but just FYI, all of these photos and more are available for purchase from my photo catalog. 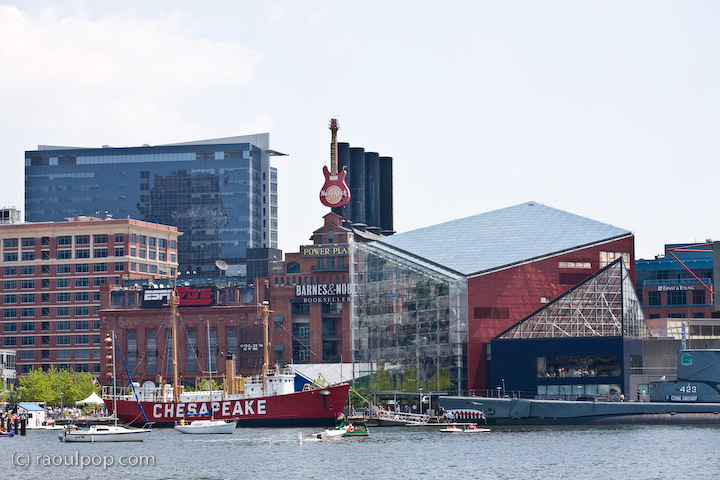 The direct link to that photo, in my Baltimore gallery, is http://www.raoulpopphotography.com/Travel/United-States/Baltimore/8154374_S6fmG#706637611_WhRdF. Thank you! 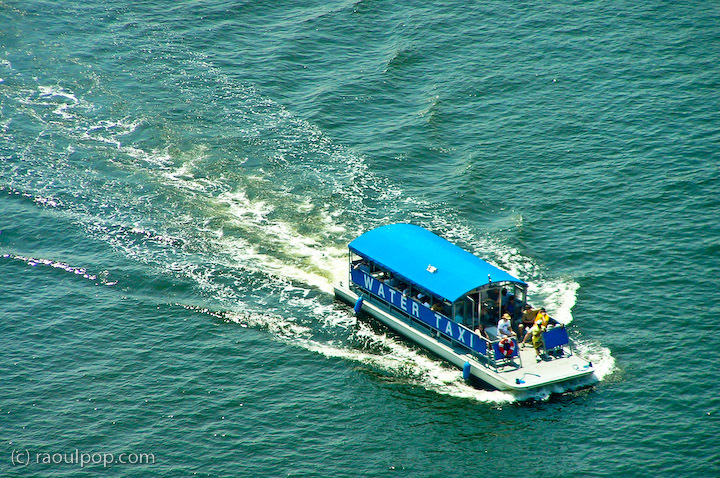 Please contact me re the first aerial shot of the Water Taxi. Love it and would like to use it in some of our promotions.